We are very familiar with VLC Media Player, now a days each and every system has this player due to its wide range of killer features like Simplicity, Free and Open source, Streaming online videos, Conversion of video formats, rotating videos from different angles, and many more. For example, how how to play YouTube videos in VLC Media Player. 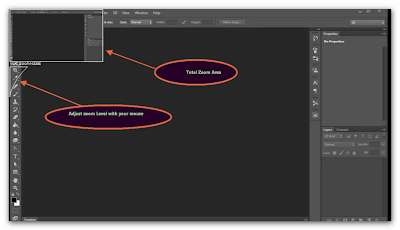 VLC has many killer features which are not available in most of the players, this tutorial gives you a wonderful feature that VLC player has. We know that we can increase the volume to 200% in this player, but we can also zoom the video while playing. Step 1: Open a video that you would like to watch in VLC Media Player. 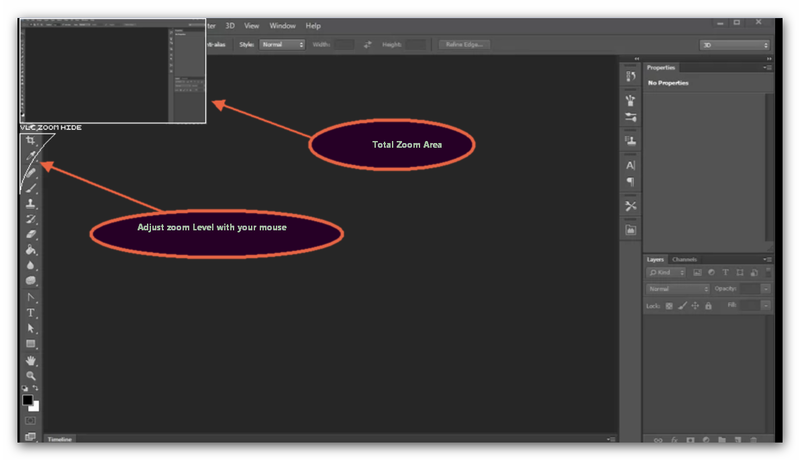 Step 2: While playing, press CTRL+E on the keyboard to open Adjustments and Effects or you can also open by clicking on the extended settings button at the bottom left side of the screen. Step 3: Go to Adjustments and Effects --> Video Effects --> Geometry. Step 4: Click on Interactive Zoom Check box. Now your zoom action was initiated. 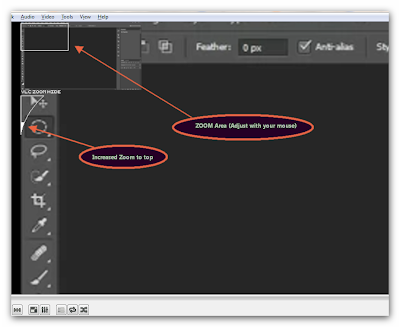 By using this feature you can zoom any part of the video by dragging your mouse on the top left side of the screen. In the below picture zoom level is 0. So all the screen is visible. Can adjust the zoom bar from top to bottom and bottom to top to increase and decrease the zoom. 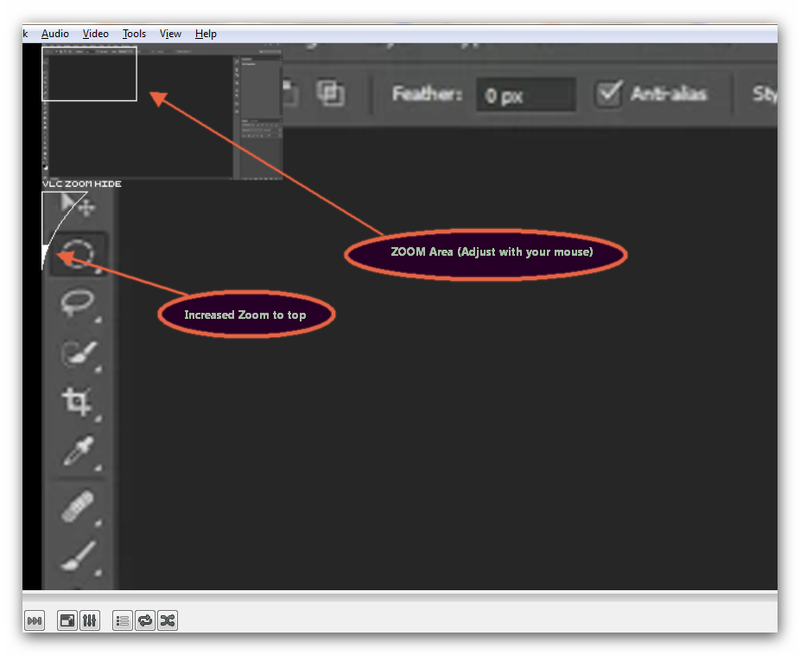 Zoom area can also be adjusted with simple dragging with mouse from one position to another position. 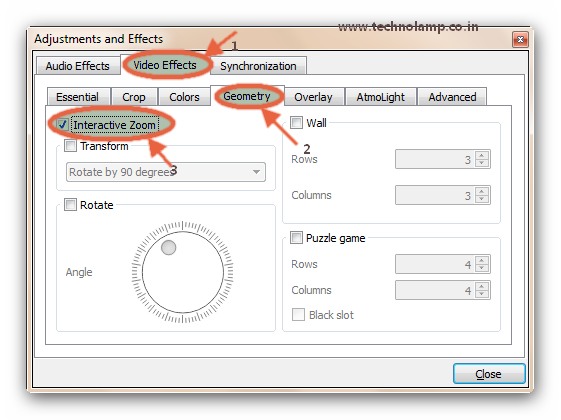 You can also check other options in the settings like geometry, Synchronization. Please mention in comments if you have any more questions.